Franklin D. Roosevelt had a mind that saw in maps. His love of maps can be traced to his childhood when he first began collecting postage stamps. Stamps from all over the world expanded FDR’s knowledge and understanding of geography and the international community, a knowledge that he brought with him to the White House in 1933. After the outbreak of the war in 1939, National Geographic provided President Roosevelt and Winston Churchill with special wall mounted map cabinets hidden by enlarged photographs. Inside the cabinets were maps on rollers organized by hemisphere, region, and theater of operation. Cartographers from National Geographic routinely updated these maps, bringing the new maps to the White House and personally installing them in the President’s cabinet that hung in his private Oval Study. By simply turning in his chair and opening the cabinet, FDR could quickly check battle locations around the world. In January 1942, FDR converted a ladies’ cloakroom in the White House basement into a top secret communications center. Modeled on a similar room maintained by Winston Churchill, the Map Room was a place where the President could monitor military activities around the globe. Here reports, documents, and coded messages were received, summarized, and filed. Through the Map Room, Roosevelt communicated with Allied leaders around the globe, including Churchill, Stalin, and Chiang Kai-Shek. Maps posted in the room were used to track the locations of land, sea and air forces. The drably-furnished office was staffed 24-hours a day by army and navy officers. The President could drop in at any time. Access was restricted to him, the Map Room staff, and specific individuals at the direction of the President. Even the Secret Service was barred. FDR’s Map Room was the precursor to the modern day White House Situation Room. Adm. John L. McCrea, Naval Aide to President Roosevelt, on Setting up the White House Map Room (March 19, 1973, John L. McCrea Papers, FDR Library). "The thing that caught my eye particularly about this room was its location. It was just steps away—across the corridor, in fact—from the elevator which the President used in proceeding to and from his living rooms on the second floor of the White House and…it was next door to the “Doctor’s Office” where almost nightly, at day’s end, the President received treatment for his sinus condition which plagued him greatly and massage therapy for his lower legs and feet." 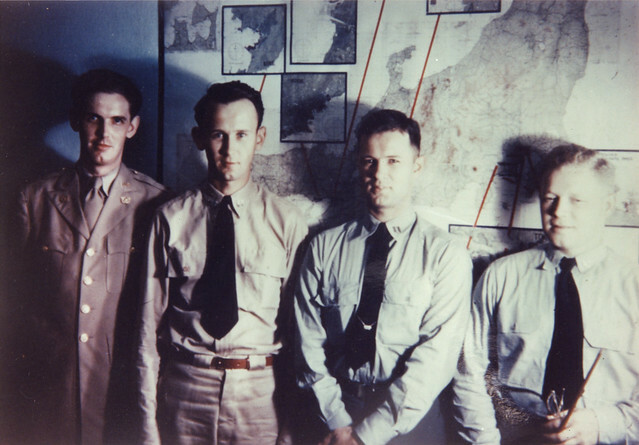 "The Map Room started to grow—it really just grew—sometimes quite by accident….The Army was generous in sending us some good people….The Navy sent us good people as well. The Map Room was a twenty-four hour a day undertaking. More and more as the operation got underway the President started coming in to the room on his way to the office in the morning and on his way up to his quarters in the late afternoon." "Just what information did we store and were readily available in the Map Room?.... [M]ore importantly by far, was the complete file of messages passed between the United States (The President), the United Kingdom (Mr. Churchill), China (Chiang Kai-Shek) and Russia (Joseph Stalin) having to do with the conduct of the war." "[V]isual aids were used to locate the whereabouts and numbers of U.S. Forces – Army, Air Force, Navy, Marine Corps throughout the War Zones. In addition the progressive day to day location of military and merchant convoys was posted, as was the locations of Naval Task Forces, the whereabouts of capital ships, etc." "It would be unfair not to mention the Map Room personnel. As I recall it now all, aside from two regular Army Officers, were reserve personnel about equally divided between the Army and the Navy. They were intelligent, alert, anxious to be helpful, and above all knew how to keep their mouths shut."